When we think of Mercury, the planet closest to the sun, we imagine a dry and desolate hell. 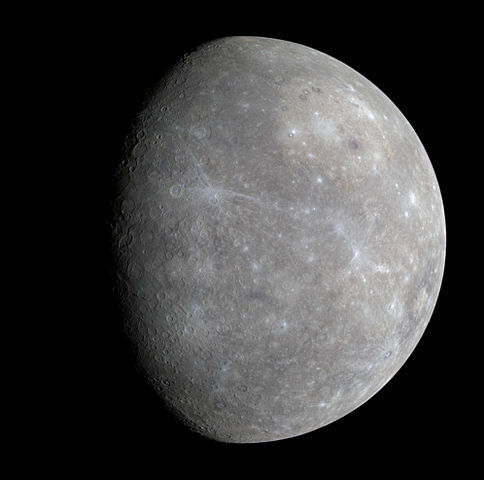 The surprise was great when, in 2012, the Messenger space probe detected ice water at the pole of Mercury. It is currently estimated that the planet could contain between 100 and 1000 billion tonnes of ice-trapped water in craters at its poles. A new study by a team from Brown University in the United States of America indicates that the water ice would actually be more present than expected. 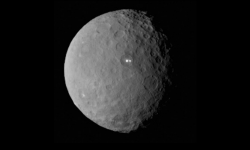 It would be found in three larger craters, and in other smaller craters in the North Pole region of Mercury. 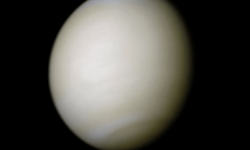 Because of its very slow rotation and lack of atmosphere, temperatures can vary greatly on the surface of the planet Mercury. The bottom of the craters is never exposed to the sun and their temperature can go down to minus 180 degrees Celsius. The hottest surfaces reach more than 450 degrees Celsius. In a more general way, the solar system contains more water than one had imagined. This also raises the question of the origin of water in the solar system. The water seems to have been distributed fairly evenly. The Messenger space probe, which is at the origin of these observations, is only the second human object to be interested in Mercury. The Mariner 10 spacecraft had already flown over the planet three times in the mid-1970s. But the Messenger probe is the first space probe to orbit Mercury. Reaching the orbit of Mercury is a real feat. It took 7 years and 6 phases of gravitational assistance to the inner planets of the solar system so that the spacecraft could move into Mercury’s orbit. Messenger was able to map Mercury to over 99%, revealing a richer geography than imagined. The planet Mercury also has a magnetic field a bit special because it is asymmetrical, that is to say that the molten metal core of the planet would be closer to its north pole than its south pole. Part of the south pole of the planet would be completely exposed to solar winds. 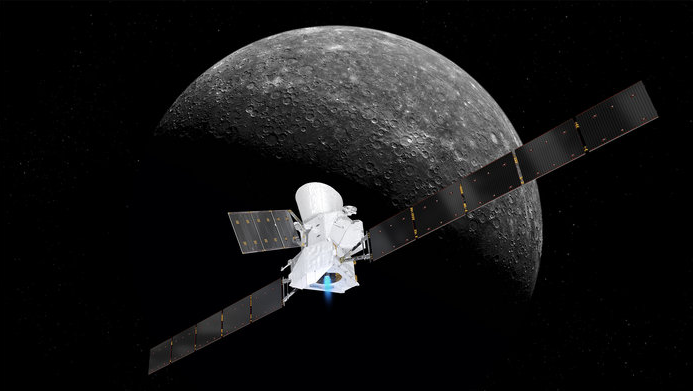 To learn more about the planet Mercury, we must wait for the Euro-Japanese BepiColombo mission, which will be launched next year. It will arrive in 2025 in orbit of Mercury. The mission will include two satellites that will study the planet with two different orbits.